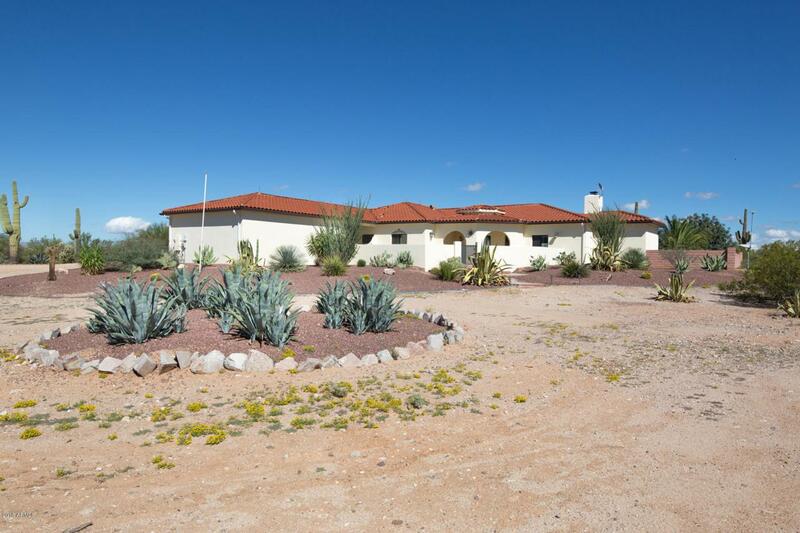 Peace & quite abound in this spectacular desert oasis surrounding a stunning desert home nestled in 5 acres of natural beauty with views of Picacho Peak & Tortolita Mt. The home boasts a chef's gourmet kitchen with double convection ovens, a restaurant style exhaust hood, stainless-steel six burner stove with griddle surrounded by custom pecan cabinetry with pull outs! The spice rack is built conveniently next to the stove. Bakers will appreciate the easy pull out for a standing Mixer. The abundant walk-in-pantry is finished by a glass pocket door. 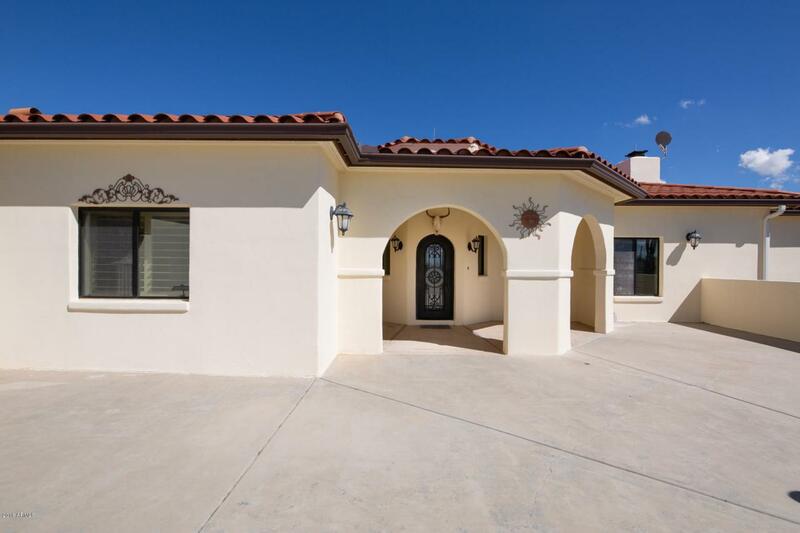 A generous back yard is flanked by triple ceiling fans and three sets of french doors. Arches lead to a rose garden, center fountain and drip fed fruit trees including figs, cumquats, tangerine, oranges and grapefruit. 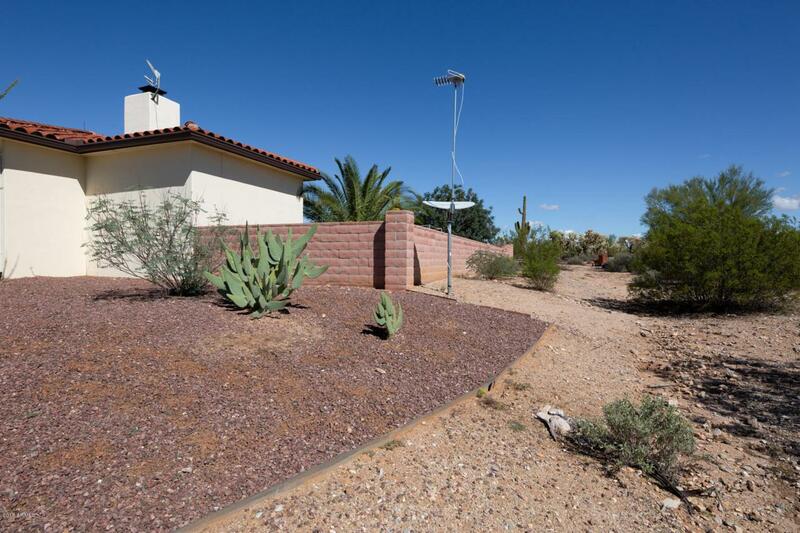 Continued..A large area around home is walled in with fruit and desert trees. Thousands of acres of Arizona State Trust Lands within an 1/8 of a mile from the property. Your natural sanctuary is protected by surrounding properties being deed restricted to 5 acre minimum lot size. NO manufactured or mobile homes allowed. The solar equipment is NOT leased & conveys with sale. Quail and other wildlife are abundant around the house. The home has two walk in closets that are the size of a bedroom. Home has decorator touches and high-end finishes including Brazilian Rosewood hardwood floors which compliment this beautiful peaceful retreat. Guest bedroom has built in Murphy bed, bookshelves & office desk. See big-sky with soaring birds in the shadow of mighty majestic saguaros during the day and at night watch the stars twinkle and the moon rise far from light pollution. This home has all the conveniences of modern life plus it is surrounded by the beauty of nature. The best of nature and home combined. Yet still close to I-10, Tucson, U of A and all the shopping, entertainment and dining you could want is just a short drive away. 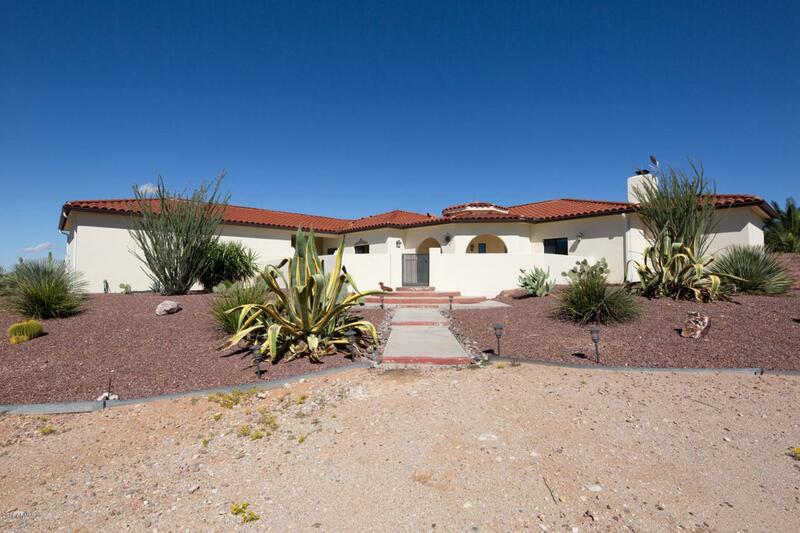 You must come see this home to experience how amazing desert living can be!